Skip the candy this Valentine’s Day and make your love a treat their body will thank you for. This raspberry chocolate scone recipe from one of Mayo Clinic’s cookbooks uses whole-wheat flour and fat-free yogurt for a lighter, healthier (but still delicious) version. Serve it in bed and you have a Valentine’s Day winner! 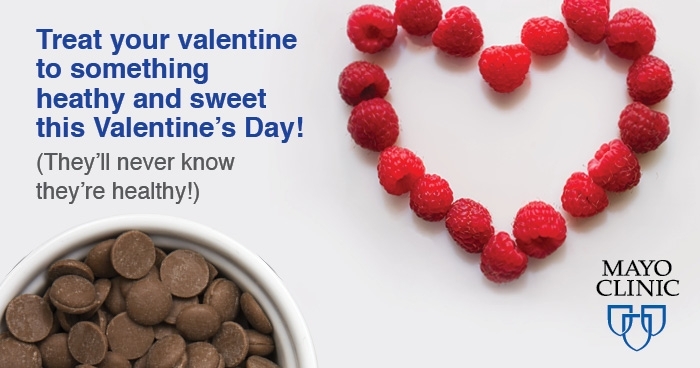 Skip the candy this Valentine’s Day and make your love a treat their body will thank you for.